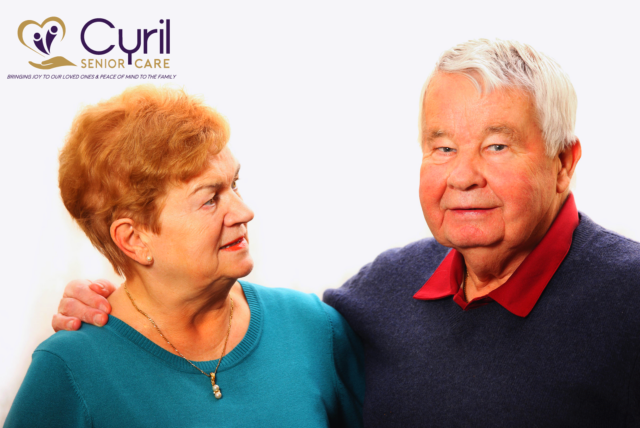 A very common question nowadays is “which option is better for my elderly parent: in-home care or nursing home care?”. The answer is simple: it depends! Access to care: nursing homes are probably the most convenient way to ensure that elders will always have immediate access to medical-grade nursing care. Some facilities provide the additional benefit of offering a range of care options, allowing residents to move around as needed. For example, a resident may need knee surgery, so they can move into the facility’s rehab wing for the six weeks of recovery, then return to their permanent room once they have recovered. At home, access to care is definitely a possibility. There are home care companies that provide a range of services, from assistance with daily tasks, companionship, to more intensive medical care. You can even arrange for physical therapist and a nurse to come to the house and provide care on a regular basis. Familiarity: Most elders would prefer to stay in their own homes where everything is the same: memories, neighbors, etc. (one survey showed that 90% of seniors want to stay in their homes as long as possible). However, this becomes not the easy answer if we consider the following tasks, and who would manage them for our beloved elders: cooking, cleaning, toileting, shopping, transportation, and more important are problems such as fall risk, which for frail elders could initiate e a downward spiral. Promotes independence: Being at home give the senior control of their life. They are not subject to the facility’s rules and regulations, can pick their physician, nurse and dedicated home health aide. Provides specialized care: home care recognizes the significance of personalized care to maintain health and provide specialized services based upon the needs and preferences of the individual. Home care lowers the costs associated with seeing several health providers, as the home care team may already include doctors, nurses, therapists, home health aides and social workers. Keeps family members together: For the seniors, the family serves as their source of mental, emotional and technical support. For the family members, they will have peace of mind knowing that their aging loved one is in a safe, therapeutic environment. Ensures safety: through reduced risk of infection, home care provides one-on-one care and attention allowing the senior to get immediate care without having to sign forms and other papers. Therefore, in-home care becomes a viable and preferred option if there’s a comprehensive support system for the seniors while staying at the comfort of their homes. Family and friends support with daily tasks, such as laundry or shopping. There are volunteer groups throughout the community to assist, for no charge. Hiring a certified Aging-in-Place specialist, who can assess a home to determine how to make it safe as possible for a senior, and who can then make the necessary repairs. These specialists are trained to add a wide range of safety features than can enable an elderly person to live independently. Monitor cameras that allow adult children to monitor the senior and be assured that they are functioning well. In-Home Care averages $19 an hour for health aides; $18 an hour for homemaker/companion. Additionally, 82% of home health care agencies provide Alzheimer’s training to their employees and 99% don’t charge an additional fee for patients with Alzheimer’s. Most home care services require a minimum of 4 hours so the minimum cost is $76 /day. According to another study by the U.S. Department of Health and Human Services, home care options are often less expensive than a permanent facility stay that averages approximately $6,500 per month. If your aging parent prefers to age at home and needs assistance with daily activities, call Cyril Senior Care at 888-42-CYRIL (888-422-9745) and talk to our client care coordinator today!